Experiment details: "A stock solution of protein (60 mM in 5 mM phosphate buffer/ H2O (pH 7.5)) was diluted twofold with denaturing solution (6 M GdHCl/H2O, 5 mM phosphate, 1 mM DTT (pH 7.5)). After 24 hours incubation, the unfolded protein was diluted ten-fold with the renaturing buffer (5 mM phosphate/ H2O, 1 mM DTT (pH 7.5)) to initiate folding. 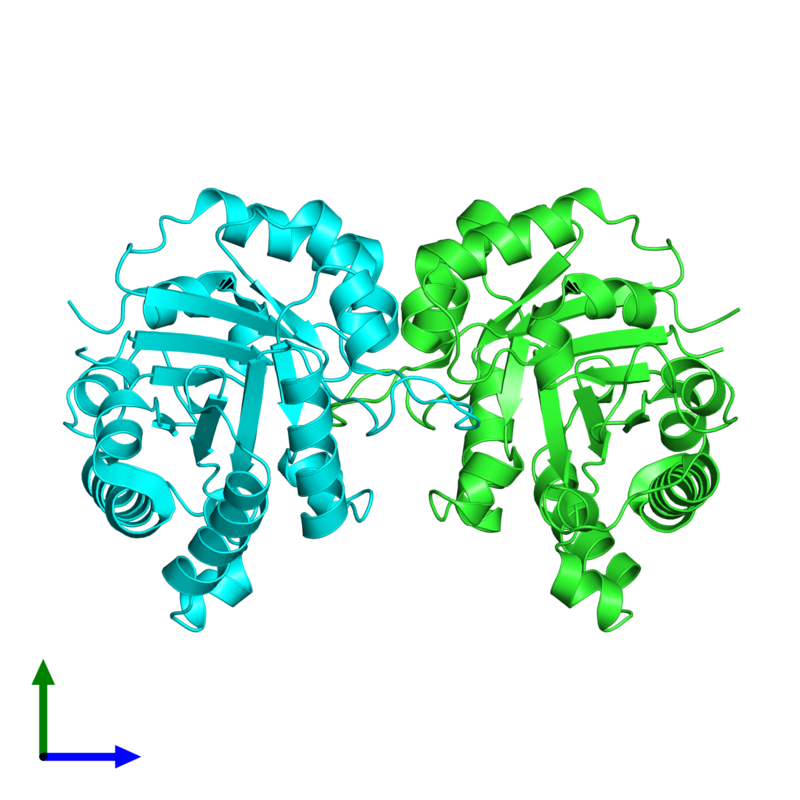 After various folding times, the protein was labeled for three seconds by tenfold dilution with the labeling buffer (0.3 M GdDCl/D2O, 0.1 mM DTT (pH 7.5)) at 22 °C. The protein conc. during the folding step was about 3 mM. Isotope exchange was quenched by decreasing the pH to 2.5 and the temperature to 0.8 °C. The quench solution was 0.2 M HCl. Samples were stored at -80 °C until analyzed."